It is fall, y'all. 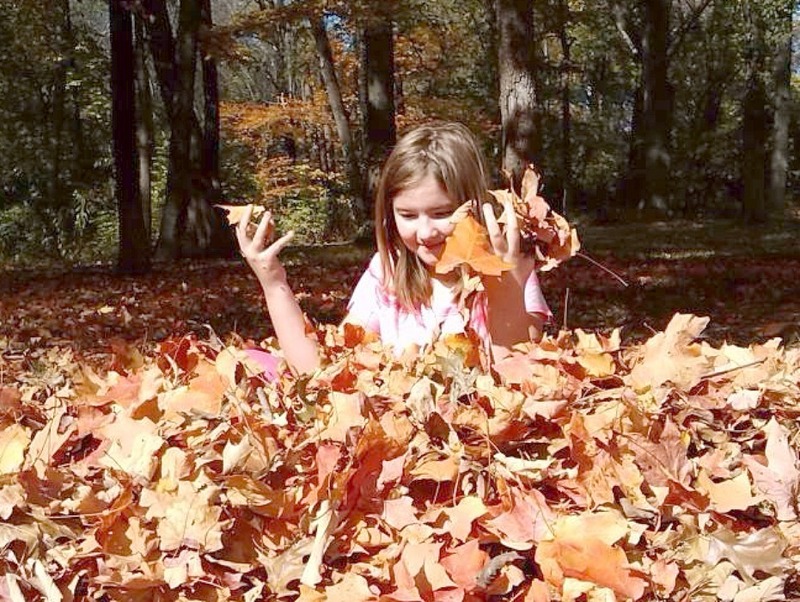 Fall is our favorite season of the year. 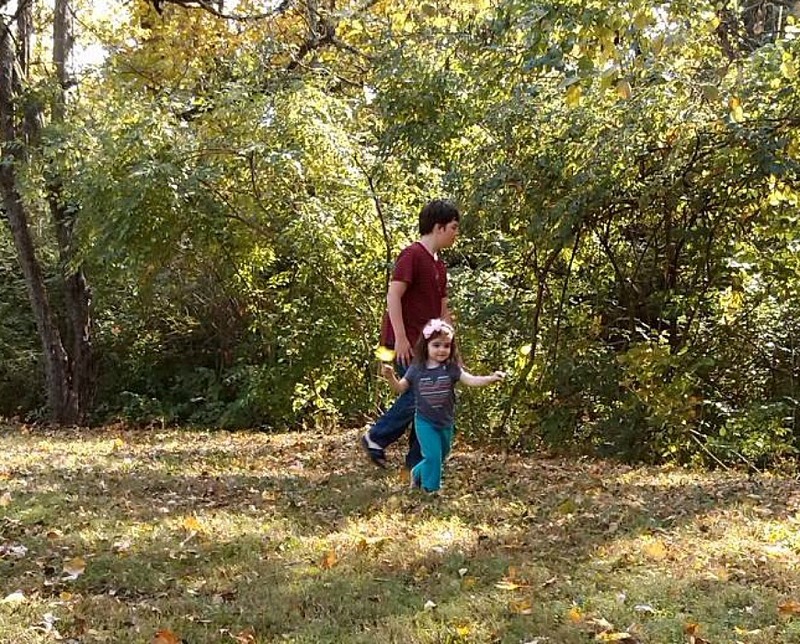 No matter the season, we make time to get outside and play every day. Are you stuck inside? Bored? 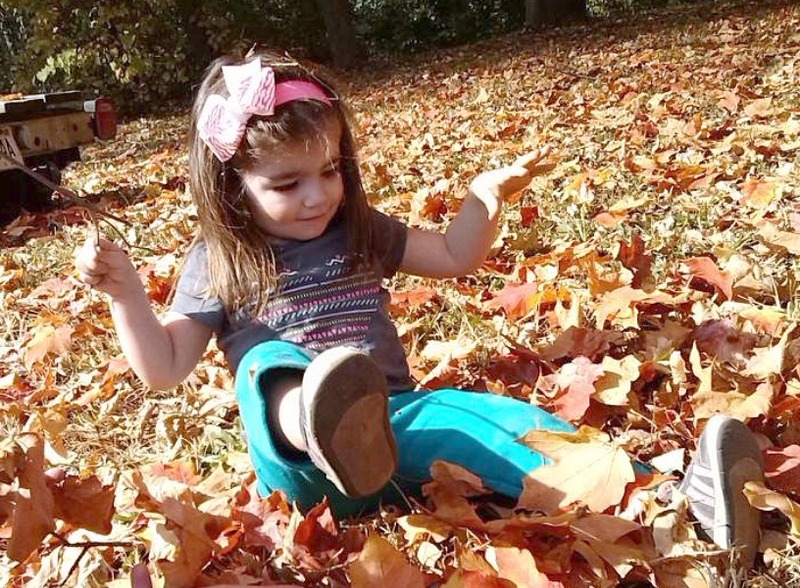 Get out and try some of these Fall Play Date Ideas. Enjoy! Fall play date ideas don't have to be fancy... Just play! The Voice of Play is an education and advocacy initiative of the non-profit membership association, IPEMA, formed to educate and promote the benefits of children’s free outdoor play and playgrounds. They encourage the scientifically proven physical, social, emotional, and cognitive benefits of play. 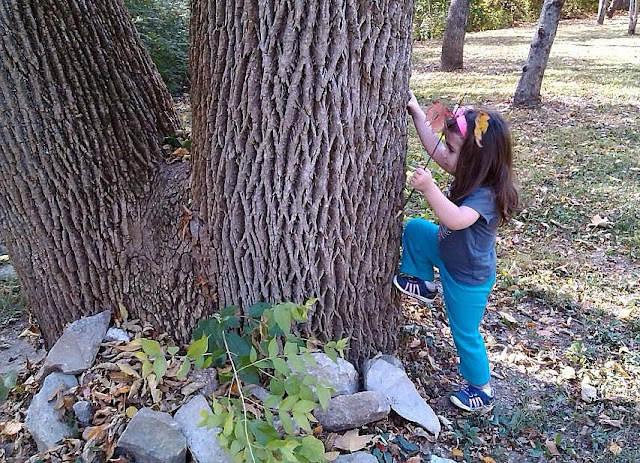 Outdoor play is free! Once a week, we visit a different local park and have unstructured play dates with a local homeschool group. We are fortunate in that we have been able to live our dream life on a beautifully wooded, five-acre property. Everyday, we go for a walk, visit the fish and ducks on our pond, take a paddle boat ride, check out the creatures of the creek, and just play in the yard. 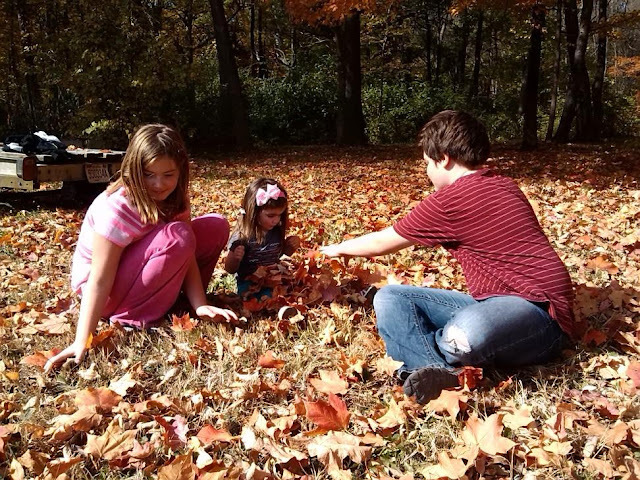 The best part about fall, of course, is the changing leaves. What fun to scoop some up and let them flow through the air! Rake up a pile and jump. It is simple. It is sensory. And, it couldn't be more fun if it cost money. 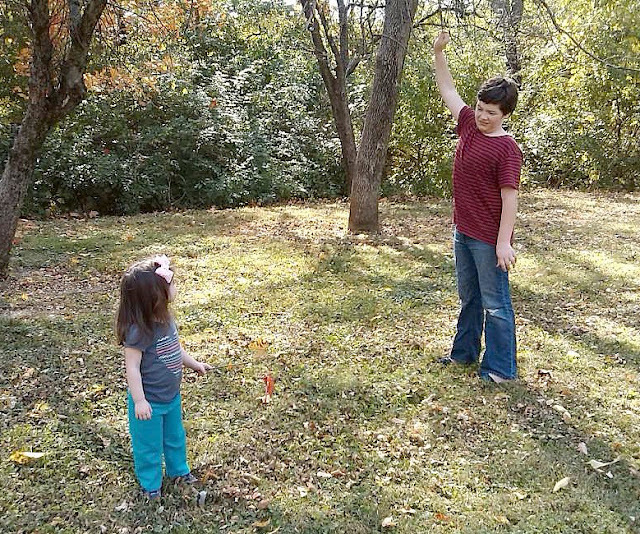 We wanted to share some pictures of how we play at home. 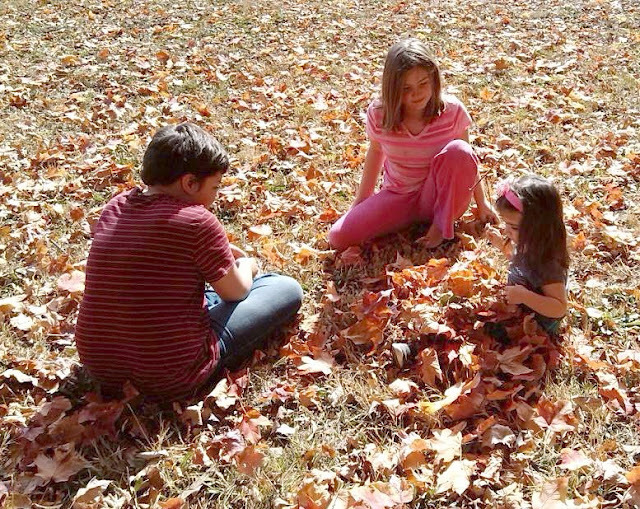 For more fall play date ideas, keep scrolling down. 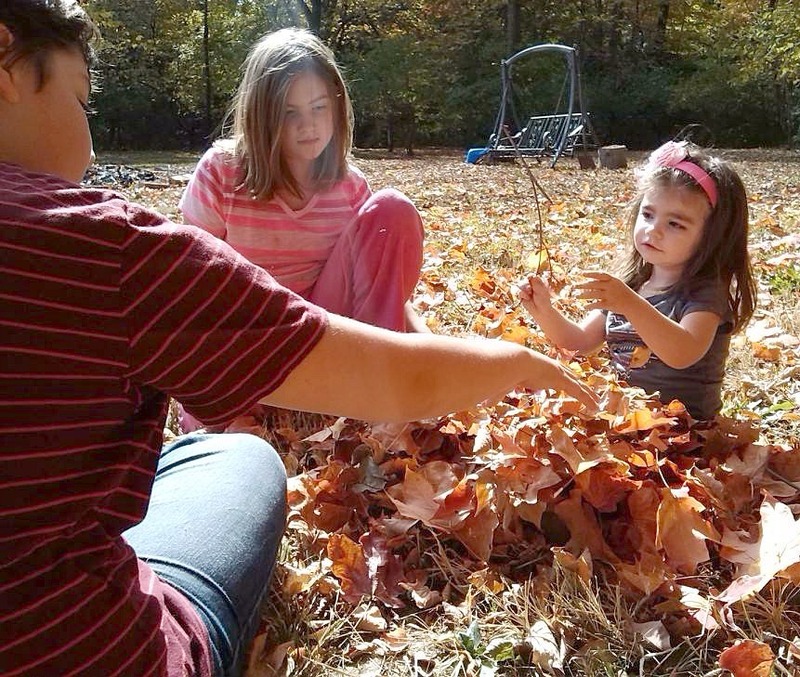 Little ones enjoy the sensory aspect of leaves. They crunch, they crumble, and crack. 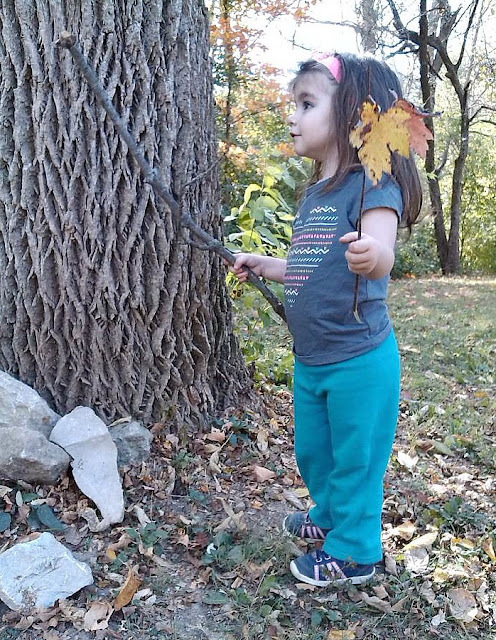 She made the leaves disappear! 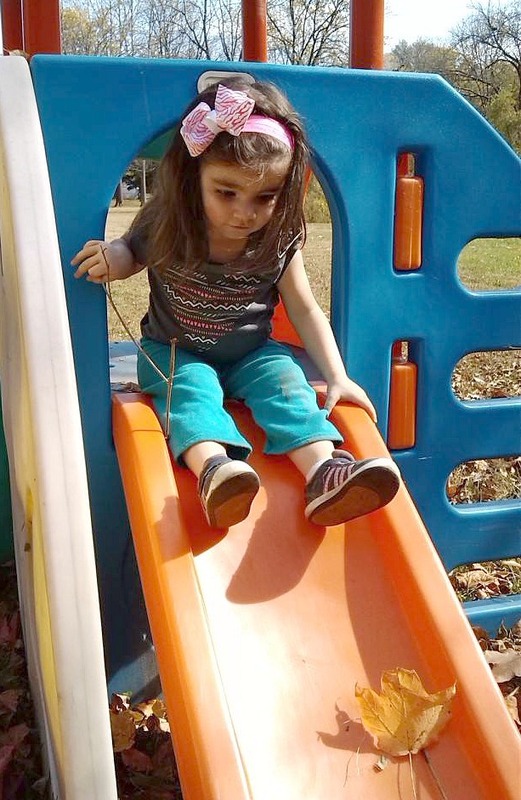 What happens when you put a leaf on a slide? Play = Preschool Science. 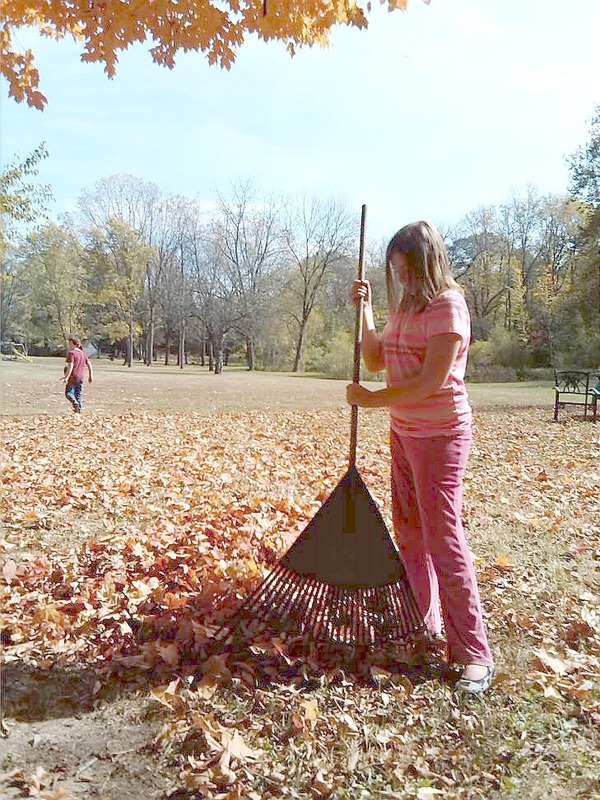 Go on a hike to collect leaves for a science project. Hide and seek is always a hit. 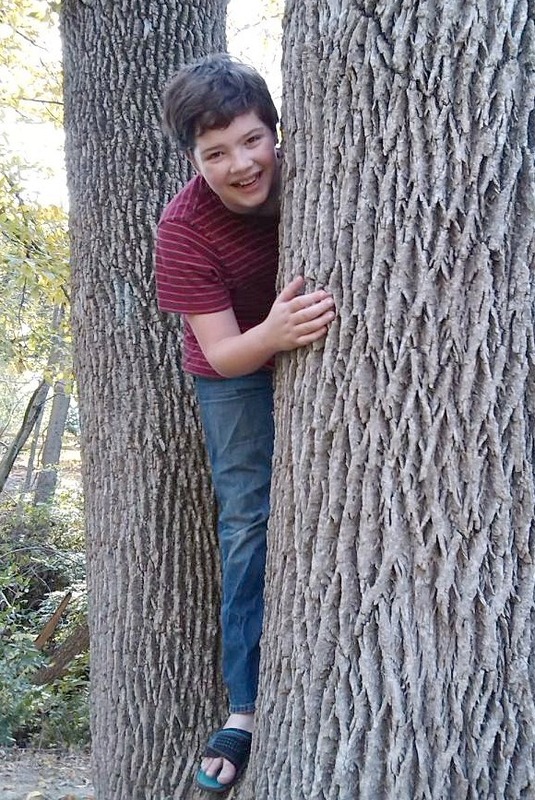 Climbing trees is cool too. I dub the Sir Fall. 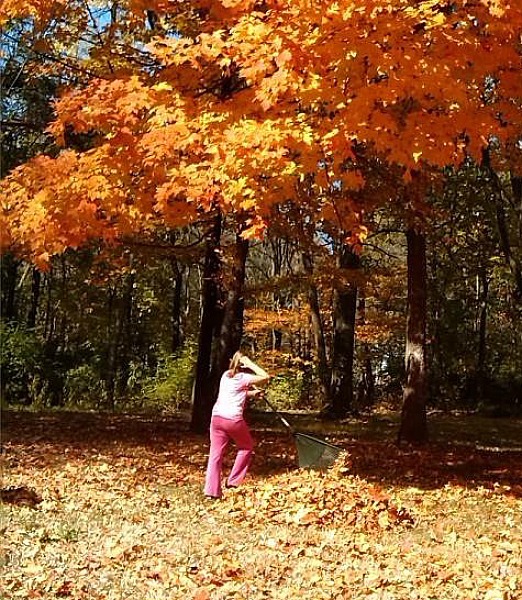 Raking leaves is good exercise. 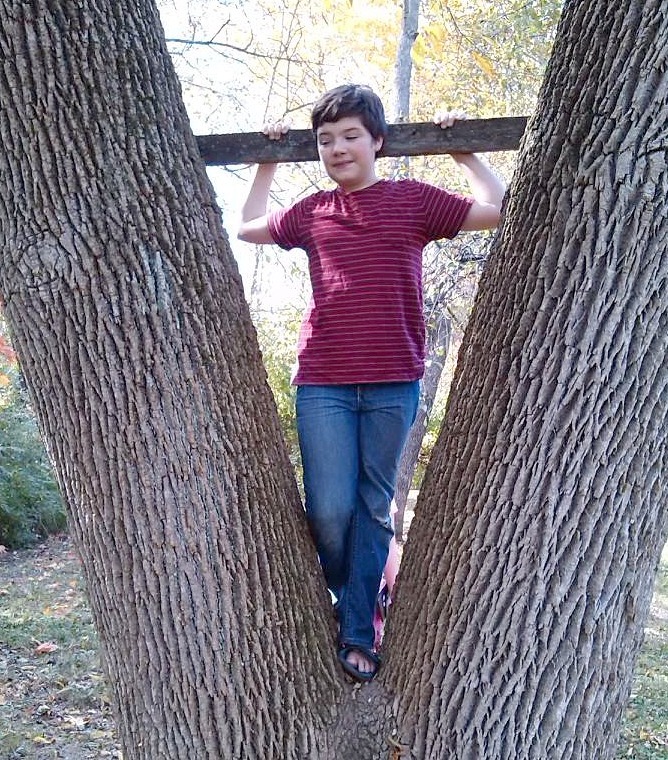 We need to build a tree house.